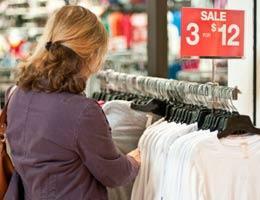 Today's retailers have uncovered the science behind shopping. Your favorite mall stores actually hire such retail researchers as Paco Underhill, author of "Why We Buy: The Science of Shopping." Underhill has tracked hundreds of thousands of shoppers to study how they shop. 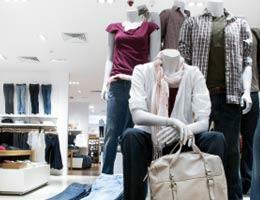 "There is nothing random about how a store is arranged and designed. It is carefully calculated to appeal to you in every possible way," he says. "The stores have a plan, so you should, too," says Dave Ramsey, best-selling author of "The Total Money Makeover" and host of a syndicated financial talk show on the radio. We can learn a lesson in Underhill's book from a story told by a retailer about a tempting display of T-shirts. "We buy them in Sri Lanka for $3 each. Then we bring them over here and sew in washing instructions, which are in French and English. Notice we don't say the shirts are made in France. But you can infer that if you like. Then ... we fold them just right on a tasteful tabletop display, and on the wall behind it we hang a huge, gorgeous photograph of a beautiful woman in an exotic locale wearing the shirt." Resist the urge: "Write a monthly mall shopping budget and stash cash in an envelope specifically for that purpose. When the envelope is empty, stop spending," says Ramsey. "A written budget makes you think twice when you are tempted by impulse buys." BOGOs (buy one, get one), two-fers (two for the price of one) and bundled-item promotions successfully tempt you into shopping more often and spending more to raise the store's number of sales as well as ticket averages, or amount of each sale. They're not always a good deal for you if you're not familiar with the store merchandise and its regular prices. "You're not saving if you are actually spending more than you planned," says Underhill. Resist the urge: "Know your favorite retailers, brands, regular prices, promotions and discounts -- and always check the clearance area first to find a similar item on sale to avoid buying two of anything and spending more," says family financial expert Ellie Kay, author of "The 60-Minute Money Workout." "Ask yourself, 'Do I really need two sweaters or two of the same jeans?'" 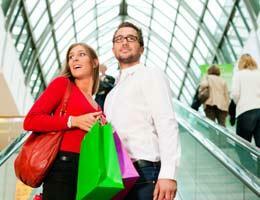 "Retail shopping studies have found that most people turn right when they enter a store. That's because the majority of the population is right-handed and right-oriented," says Underhill. Knowing this, stores highlight tempting new items and trends to the right of the entrance. You'll find that the music is louder and the displays are brighter to attract you where you will look and turn first. This is also where the most expensive items in the store are generally displayed. Resist the urge: "Shop with blinders on," says Kay. "Stick to your list with the cash in your hand. Avoid credit card debt at all costs, and head straight to what you came for." 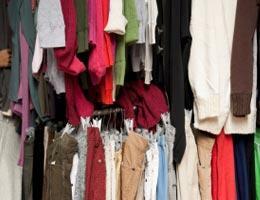 The clearance racks are placed in the back of almost every mall store on purpose -- so you'll be tempted by everything else more expensive in your path. 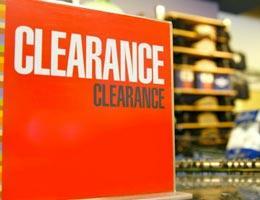 Resist the urge: "Head to the clearance area first to find the best deals," says Kay. "This way, you will have a frame of reference for comparing prices of similar items in other parts of the store and will be able to make smarter choices." "It's really hard to conquer the clearance area in some stores because it's actually designed to make you not want to spend time there," says Kay. Resist the urge: "Never shop when you are rushed for time," says Kay, "because this leads to making rash decisions." Instead, she advises setting aside time to shop, dig and search for what you truly want, need and can afford from the clearance section. 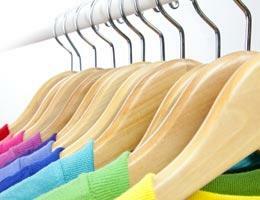 Impulse items are tempting goodies such as jewelry, sunglasses, fragrances and magazines that you did not plan to buy. They are displayed purposely near the register. In retail jargon, these are called add-ons (in addition to your main purchase), and they can increase your credit card debt faster than you can say, "Oooooh, pretty!" Resist the urge: Kay's shopping wisdom is, "Never enter a mall without a specific shopping list. Then, use my 'list test' to justify an off-list purchase with three valid reasons including: paying cash (not credit), a great discount and necessity of the item. Not only will this hassle slow you down until the impulse passes, but you can actually reprogram your mind and habits to shop this way automatically." "Two best-friend reckless shoppers who both give in to every temptation can overspend into a credit card debt disaster," says Kay -- and retailers will do whatever they can to encourage that. Now, you can even have your Facebook friends weigh in on whether you should buy those jeans, or use a dressing room app that elicits "buy it" responses from strangers. 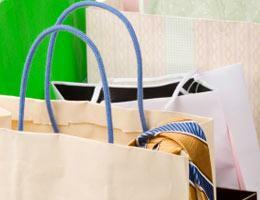 Resist the urge: Kay explains that different people have different shopping personalities. "Some people get frustrated easily, some shoppers are impulsive and some shoppers persevere more than others. If you're going to take a friend shopping with you, take someone who can balance your impulsiveness with their perseverance (or vice versa if your friend needs the help)," she says. "Alcoholics should stay out of the bars. If you know you have a problem with spending, stay out of the mall," says Ramsey. These stories can serve as your own program to smart spending and shopping.